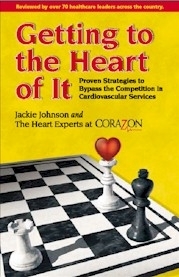 Corazon’s books delve deeply into the HEART, VASCULAR, and NEUROSCIENCE specialties, offering proven advice and best-practice solutions for specialty program development or expansion. 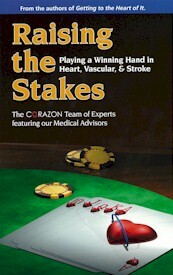 The detailed chapters, written by members of the Corazon Team, industry partners, and renowned physicians, give readers the information necessary to bypass the competition and create a winning program in today’s healthcare marketplace. These strategically-focused books give hospital executives, medical staff leaders, and clinical professionals guidance in developing specialty programs structured for sustained success. This comprehensive book includes practical information, guidance, and advice on all aspects of HEART and VASCULAR program development and expansion. The detailed chapters, authored by the team of service line experts at Corazon, offer clear explanations and real-life experiences to help your specialty program succeed. The information and insight in this volume has helped numerous Corazon clients bypass their competition and become leaders in the markets they serve. Now you can have access to the game-winning moves that can put your industry opponent in checkmate! The second installment of The Corazon Book Series delves deeper into the critical subspecialties of the cardiovascular service line, which can be a significant contributor overall to the hospital bottom line. This industry resource provides insight into the many important clinical areas within the heart, vascular, and stroke service lines, reviewing strategic alternatives for program development amid the changes and challenges of our ever-changing industry. The detailed chapters include innovative growth strategies, proven service line development tools, expert advice, and real-world thinking. Want the information necessary to bypass the competition? These strategically-focused books give hospital executives, medical staff leaders, and clinical professionals guidance in developing specialty programs structured for sustained success. They distill our real-world experiences in developing and implementing top-ranked programs, clearly outlining the opportunities, challenges, and solutions for best-practice care delivery.